Gathering Clues to the Origin of Life! A major controversy amongst many scientists since the 1960s has finally been settled: there now appears to be conclusive evidence that not only does outer space house certain amino acids the basic building blocks of life, but meteorites falling to Earth from space have been shown to contain “nucleobases” the building blocks of DNA and RNA. A team from NASA Goddard’s Astrobiology Analytical Laboratory which includes Michael Callahan, Drs. Jennifer C. Stern, Daniel P. Glavin, and Jason P. Dworkin were amongst those who researched and confirmed the findings. The Pennsylvania State University, the Carnegie Institution of Washington, DC also were involved in the investigation. What the NASA scientists found to be of most interest is the presence of the purines of adenine and guanine, which are common on Earth and are one of the bases for our DNA. 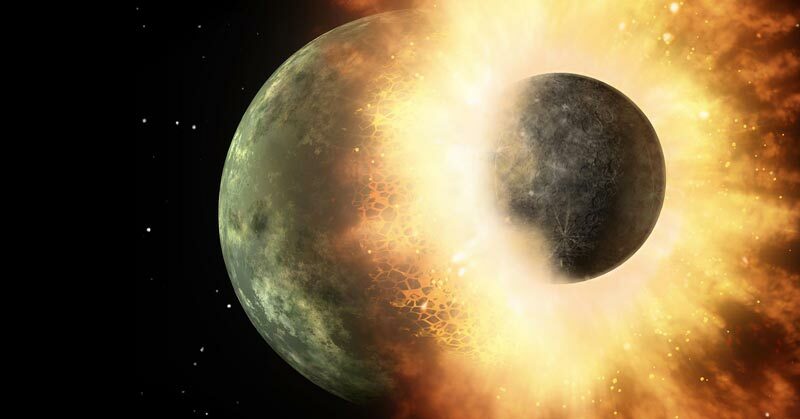 The research mainly concluded that these elements found in the meteorites were not contaminations from earth. It seems that a particular class of meteorites called CM2 meteorites are the ones that show these types of elements. In addition, they also found four other elements hypoxanthine, xanthine, 2,6-diaminopurine, and 6,8-diaminopurine; the latter two almost never are used in biology. These latter four elements are also unique to the area where the meteorites were found or are found only in more minute amounts, and therefore the conclusion was made that these elements within the meteorite are not contaminants from Earth, and the Earth may be part of an event called panspermia. Since the turn of the century it has been an accepted fact that amino acids, the basic fundamental elements within our body, also exist in space. This knowledge came not just from meteorites like the Murchison Meteorite that fell in 1969 in Australia, but also from NASA’s 2004 Stardust mission when the spacecraft surfed the wake of the Wild 2 comet’s tail collecting samples. The sample that was later dropped back on earth showed glycine, a common amino acid, but in the comet it was a little different from what existed on earth. Callahan is lead author of the paper on the discovery of the six elements confirmed in meteorites that have now been examined. His results will be appearing in Proceedings of the National Academy of Sciences of the United States of America. 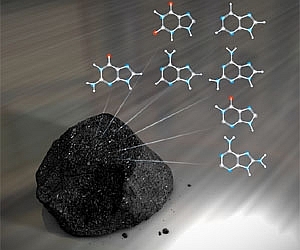 The claim is that this discovery adds to a growing body of evidence that the chemistry inside meteorites, asteroids and comets is capable of making building blocks that have many of the essential biological molecules for life as we know it. The Keys of Enoch® (Key 202), already in 1973, told us that the nucleotide bases are part of the greater cosmic creation based on the “seed forms” which are really wave functions of life that code for our creation. We are just now beginning to understand that our image is also alive amongst the stars!